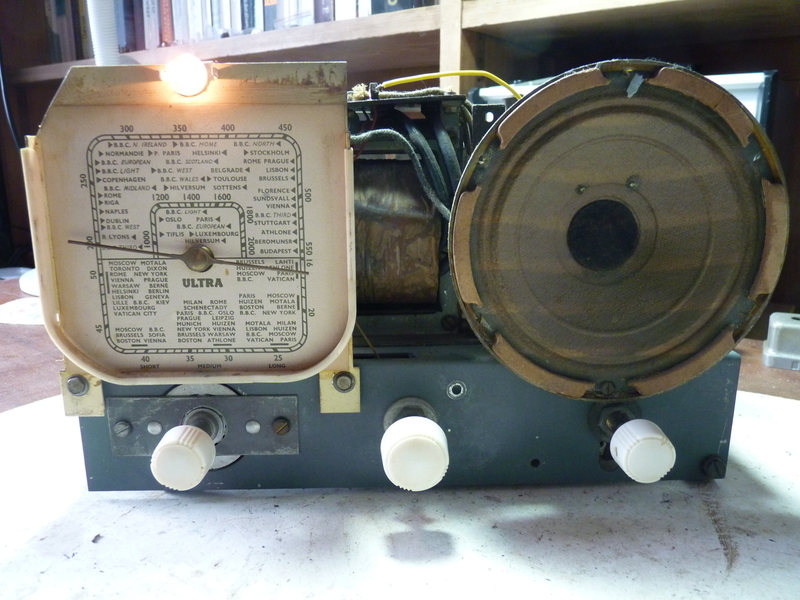 We’re very pleased to announce that we’ve managed to find our very own Ferranti 145 “jelly mould” radio. Sadly there’s not a full complement of knobs, the wiring has completely disintegrated and the cabinet seems to have saved seventy years worth of dust and dirt. It won’t be a quick fix, but hey, we like a challenge. On the plus side, the bakelite cabinet is sound and with a bit of TLC will be as good as new. Having done a bit of research, we were surprised to discover the beautiful styling on the case produced in 1945 wasn’t original but had previously used on the, now rare, Nova Consolette way back in 1936. As was often the way with radio production at this time, post-war manufacturers had to make do and mend, using surplus or mixed and matched pre-war components and cabinets. Thinking about it, I don’t know why it came as such a surprise. 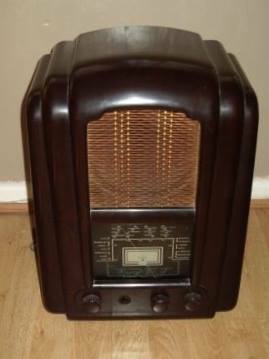 The shape and line of this radio shouts 1930s design loud and clear. 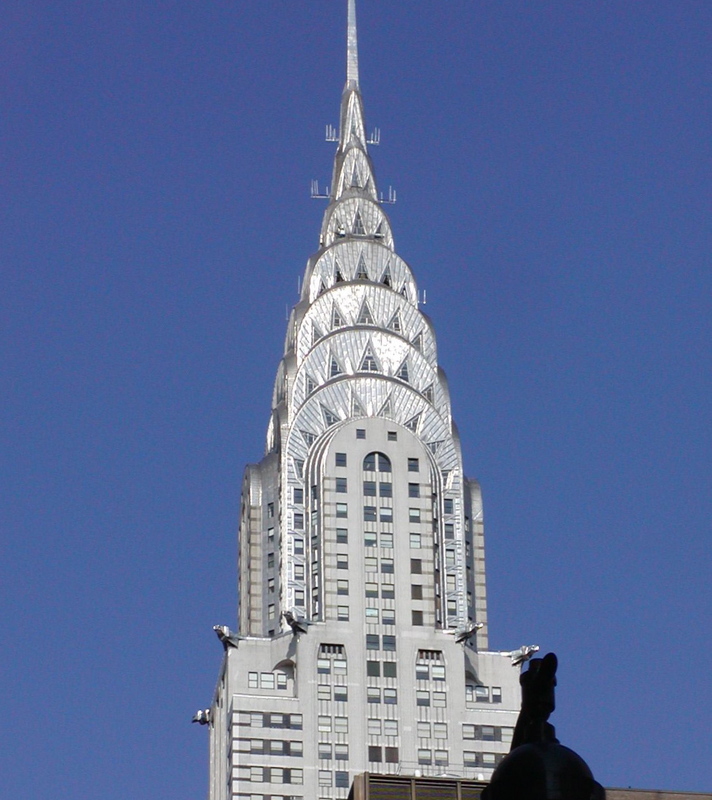 Function and form, a strong symmetrical shape, bold and beautiful lines. 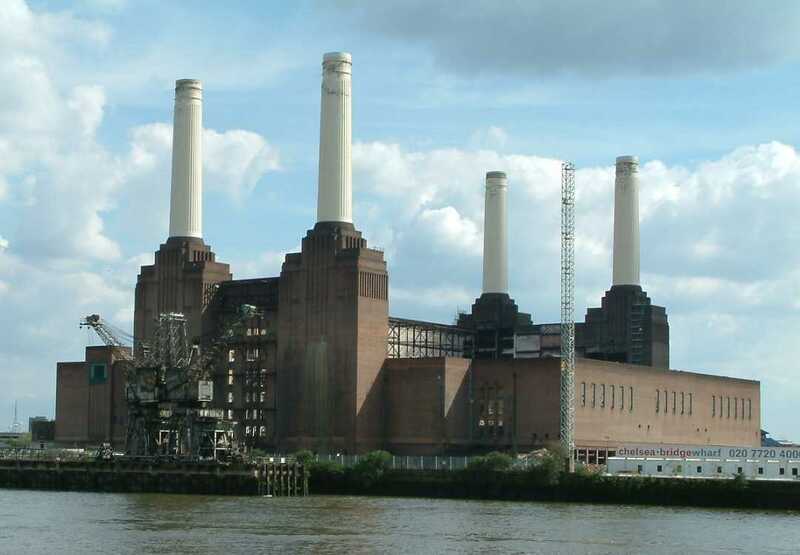 Think Battersea Power Station or the Chrysler Building. One thing that does surprise. This radio is not as big as it looks. From the photograph I was expecting to see a beast of bakelite but no, it’s very neat and compact but still weighs a ton. 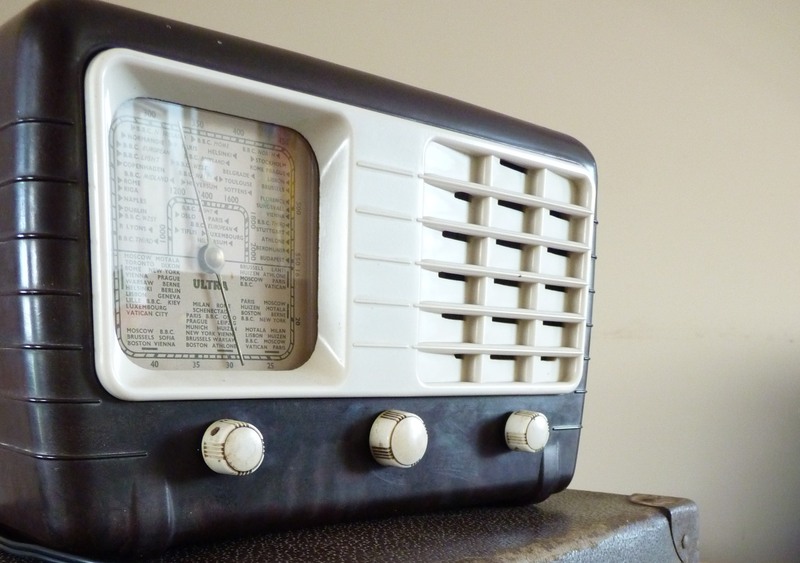 Let me introduce you to our latest restoration project, a vintage midget valve radio made by ULTRA in 1947. Truly lovely to look at … even better to hear. The ULTRA company was set up by Edward (Teddy) E. Rosen who was born in 1898, the son of Rachel and Samuel Rosen, who were Polish-Jewish immigrants to the East End of London. Edward had an early connection to the world of Radio when he was thirteen he secured a job with Marconi. When World War One started, he lied about his age and joined the Royal Flying Corps servicing radios. After the war he set up a company making wide frequency response headphones, then horn loud speakers and finally taking on a new radio designer to design and make radios aimed at the middle market. Ultra Electric Ltd became known for producing quality sets at a reasonable price. Their first mains receiver was built in 1931 and they continued manufacturing until interrupted by the Second World War when they moved over to the manufacture of the Civilian “Utility set” and provided components for Royal Air Force planes. In 1947 ULTRA returned to the commercial market and this ET415 hit the shops. Sixty six years after its original manufacture, the brown bakelite case was in good condition, just dull and grubby. Cleaned up and the electronics completely overhauled, the midget ULTRA was back in action. 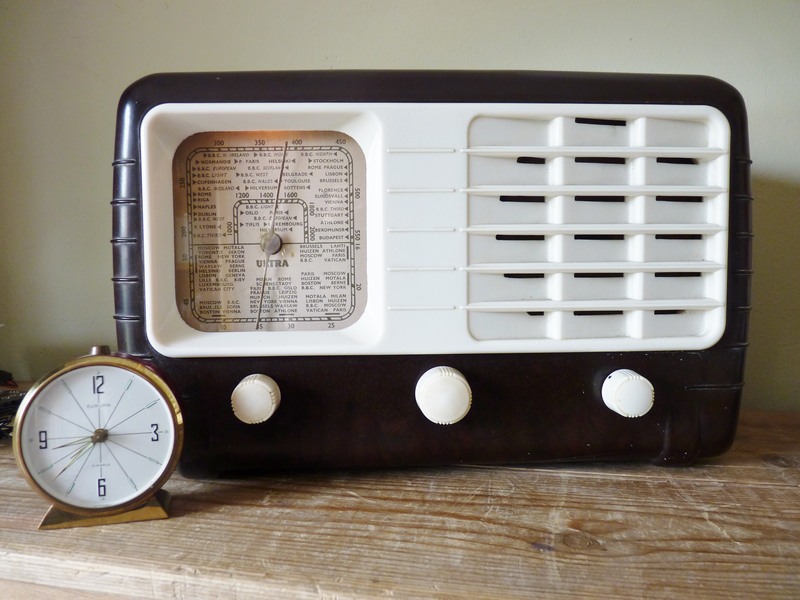 You too can be the happy owner of an ULTRA radio – there is a model to attract every taste – and, more important still, every taste is superbly met. 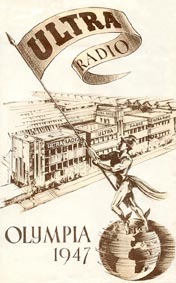 The original advertising information points out that a brochure “is not enough to fully appreciate the quality and technical superiority of ULTRA radios, but full information is readily available from any appointed ULTRA Dealer, who will be pleased to show you that all these radios are truly lovely to look at … and still better to hear”. I suppose now that the ULTRA Dealers have long gone … that responsibility falls to us and we can confirm that they were absolutely right. 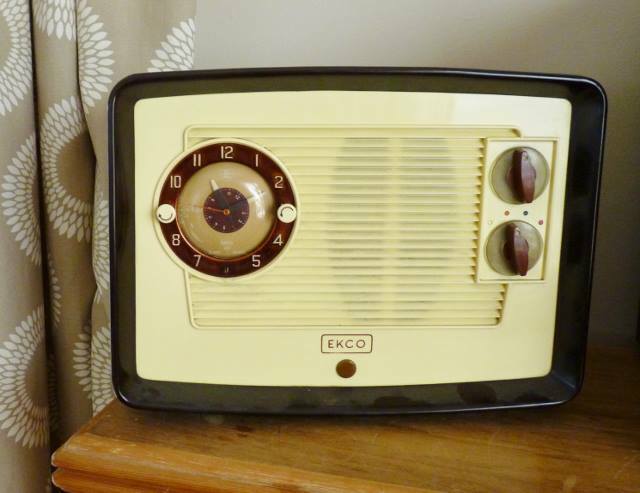 A change is good as a rest here at Wayne’s Radios, so our attention has temporarily turned to a cream and brown bakelite Vintage Clock Radio built by EKCO in 1956. Comparatively small, it just fits neatly on a bedside cabinet. Whenever possible we like to keep everything as it was originally, but sometimes the only way we can prolong a radio’s useful life is with sympathetic alterations. This little lovely will therefore be restored and modified by the addition of a modern amplifier. This moderation will enable the radio to be used with an MP3 or similar device to make it possible to enjoy your own music collection, or access DAB radio with a simple plug in. 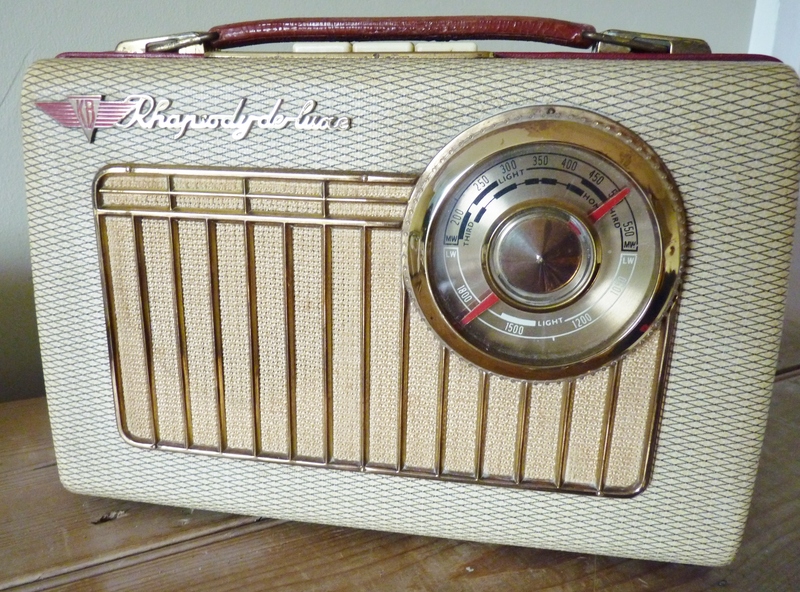 The vintage radio continues to be both beautiful and useful and there will be one less radio that ends up in landfill. Groovy and green. How good is that. We do like a challenge here at Wayne’s Radios. Our latest endeavour was found lurking in the back of a barn. 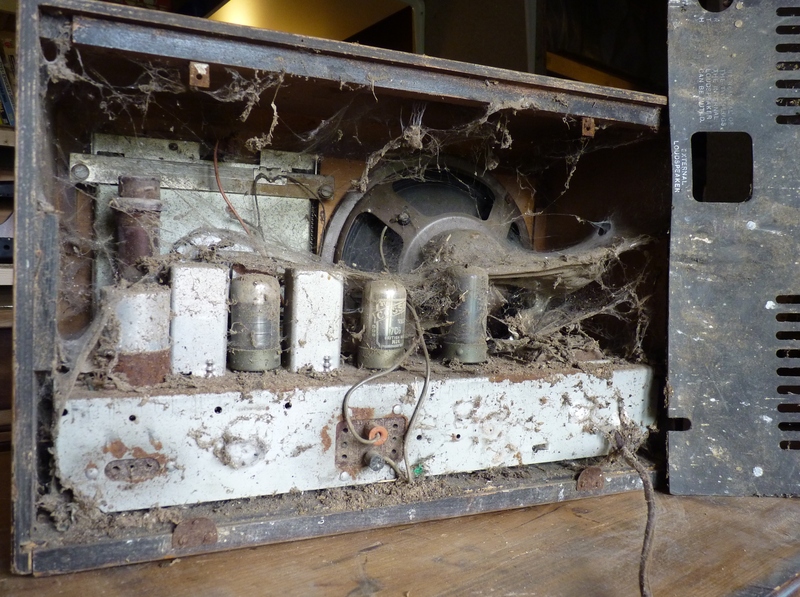 It’s got woodworm holes, bird poo and a complete spider cemetery, but we will not be beaten. In fact, watch this space. 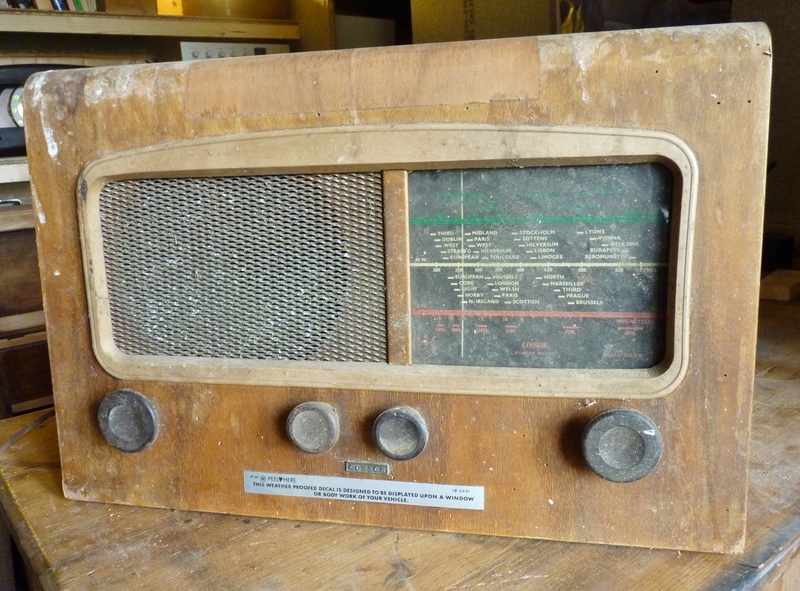 As this vintage valve radio is in such poor condition and should really have ended in a skip, we’re going to give it a complete transformation and maybe even get a bit creative. Most Cossors are common or garden. They were made in their thousands in the early fifties in wood or bakelite but the large speaker gives out a good sound and lots of volume so this one definitely deserves a second chance.